Lake Travis Waterloo Adventures invites families, fun-loving friends, and adrenaline junkies to its opening day. 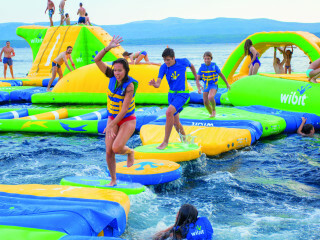 Be the first to take on Waterloo’s pulse-pounding floating challenge course designed by Wibit, a German company that created the inflatable water park industry and continues to revolutionize play on the water. Built for beginners to experts, the 600-foot water playground offers a wide array of fun and challenging obstacles, including climbing walls, monkey bars, slides, hurdles, balance beams and bridges. The ultimate lake experience also includes a boat ride to and from the beautiful “Adventure Island,” unlimited access to a private resort-style beach, and other water attractions in the Aqua Park area. While the kids play, adults can relax in the shade on a hammock or lounge chair and enjoy 1000 feet of incredible lakefront and hillside views. 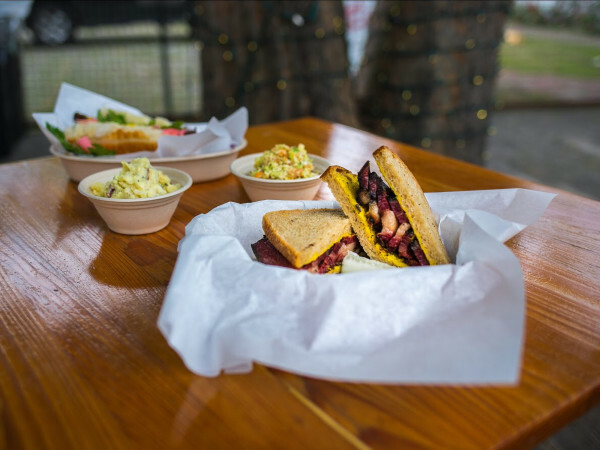 Adventure Island also offers food and beverages, including wine, beer and frozen drinks.